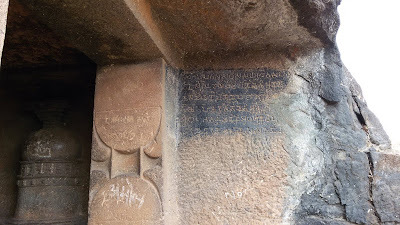 Gandhar Pale Buddhist Caves is popularly known as in Mahad as Leni or Pandavleni. 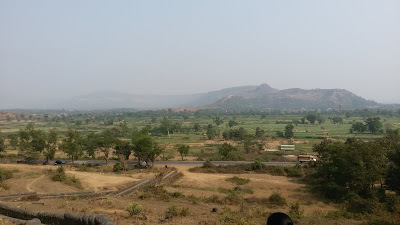 If you are going from Mumbai to Goa then on national highway on the National Highway -17 then you can see it near Mahad city. 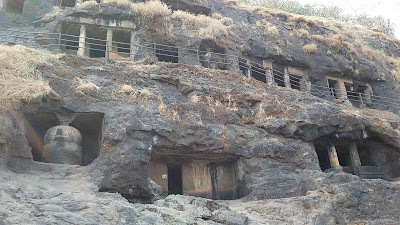 Buddhist Caves can be seen clearly by the main road. But there is no signboard or marking mention for this place. It is a one-time visiting place if you are there. If you have seen the Ajanta and Ellora caves then you found similarity between them and in the Mahad Leni. These all are related to Gautam Buddha. These caves have similar architecture and designs to Buddhist culture. Caves are clean and spacious. There is no guide to give information about this place. As per historians, these caves were built during the reign of Prince Vishnupalita in the year 150 to 300 AD. This place is good for history students who work on the history or project on Buddhist Caves. There are more than 30 caves in which you can see cave number 1,8,15 and 21. In these caves, you can see the sculpture images related to Buddhism. It's named Pandavleni because as per saying Pandav's used these caves. From the main road, there is a path of stairs which go to the Buddhist Caves. These stone stairs are newly formed. There are only a few 2-3 temporary shops on the main road which offers a few snacks and cold drinks and water. This place is not so popular. So there is no crowded. Only there were a few nearby cities tourists, who know about this place. There are small or big 30 caves and marked with numbers. All caves are built in a single large hill. There are three layers of caves like three storied building. There is no opening and closing time of this place. So you can go there any time in the day. 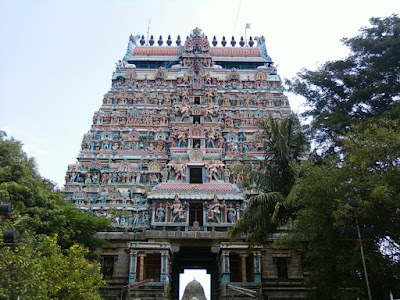 This place is easily visited within 1-2 hours completely. You can go there any time to visit this place except for the rainy season. Best time will be in morning time for visit this place. I have visited this place in the morning. Since there are no basic facilities so you have to go there with proper planning and ready for every condition. If you plan to go there by public transport then it is best to take a bus from Mahad. It is the nearest bus stand. I will not recommend that you come here especially visit this place. Instead, if you are passing from here then you can visit this place. If you are living nearby then you can go there. Walk at this place very carefully there are many places where you can slip and fell down. If you are planning to visit Buddha Leni or Pandavleni Mahad I recommend some tips you keep remember before visiting this place. Drinking water facility not there. There are no facilities for taking food or lunch. There is not a washroom at this place and nearby area. You should carry some snacks, food and drinking water with you. Then so after reaching there, you can take after visiting this place during relaxing there. You can reach this places very easily by Mahad Bus Stand. The buses go towards Panvel can drop you at this place. You can also get a taxi or Vikram but not very frequently. There is not any stoppage near this place for buses. Mahad Leni is approximately 5 km far away from the Mahad ST bus stand and it will take around 15 - 20 minutes to reach there. The nearest railway station is Veer railway station which is not good for going there. You will not get any transport for Leni Mahad. You have to book privately a taxi or Vikram for it.